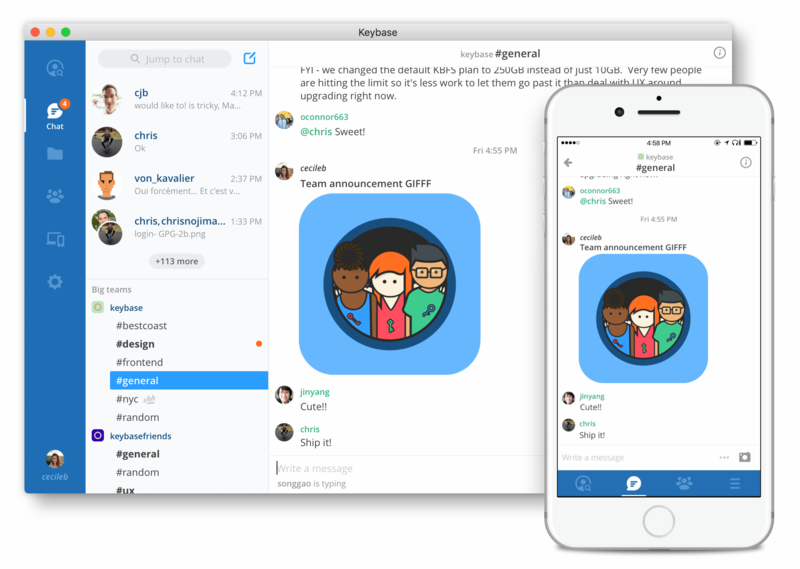 Keybase is an end-to-end encrypted chat app for the workplace. But there's a key difference: Keybase Teams is end-to-end encrypted, meaning it's theoretically impossible for anyone to snoop in on conversations -- including Keybase itself. Slack, meanwhile, encrypts its messages, but only to its own servers.